Spoiler alert: This article is about spoilers - This Is My Joystick! There was a time in my younger days when I would literally spend hours at a time trawling for any available information I could find on anticipated games. When I was really young, the information we received was very limited and we were entirely at the mercy of games magazines such as CVG or Gamesmaster. However, with the way the internet has revolutionized the distribution of news over the last decade, allowing us to exchange information almost immediately, the quality and quantity of those tidbits of useful information we find has multiplied exponentially. With the increase of available information rising, I find myself moving away from the habits of old; no longer do I want to know anything and everything about the games I may be interested in before release, especially in games where plot is heavily prevalent. This may sound odd coming from a ‘wannabe games journalist’, but outside of the premise and the setting I want the experience to be as fresh to me as possible. Imagine if you will that just before you went to see the Usual Suspects, a seminal movie famed for its shock ending, that you looked up the conclusion (if you haven’t seen it yet, don’t google it, stop reading this, go to HMV now, buy it. You can thank me later). Would the film still have the same level of impact on you that it did originally? Hell no, and with things like this I don’t even like to know that there even is a twist, as it either makes the outcome obvious or has you guessing wildly until it’s revealed. The same is very much true of games, and looking back now there are many great games that I have lessened the impact of for myself by innocently reading a news item or catching a careless comment on a forum. Key plot points in games such as Max Payne and Final Fantasy VII are two such examples of how an important element of the storytelling was totally ruined for me by my eagerness for early impressions that ultimately robbed me of truly jaw-dropping moments. 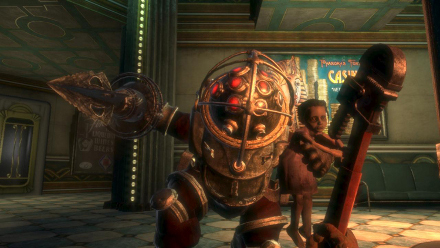 If there was ever a game that proved to me that complete ignorance of the subject is the only way to go, it was Bioshock. Aside from knowing that I was the sole survivor of a plane crash and that I had uncovered a strange world by entering through a secret entrance in a lighthouse, I went into that game free of intricate plot knowledge and I am in absolutely no doubt now that the game was so much better for it. 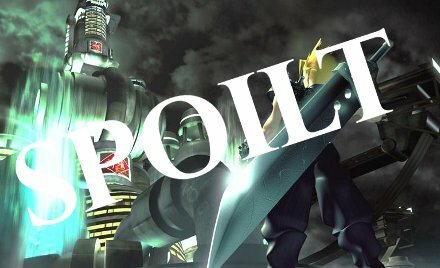 It is shocking looking back at various site previews of the game just how much information they gave away. Since then, I aim to be on a constant media blackout when it comes to the games I think I’m going to be into. The main one that I’m keen to avoid information on right now is Splinter Cell: Conviction. There is only one problem that is stopping my dream of avoiding spoilers becoming a reality… Step forward one Simon Weatherall. Just the other day he broadly posted a major spoiler for a certain war game on Twitter, much to the displeasure of some of our staff members, and the fact that he got Borderlands days before me was literally hell. He’s not the only one out there like that and certainly not the worst, but he’s the only one I know personally. Another thing that helps little is the release day for new titles over in America. Americans are lucky enough to see the majority of new titles released on a Tuesday or Wednesday; generally a few days before we get it on the following Friday. By this the time we’re able to get our mitts on the game in question, the internet is a no-go area, rife with big mouths and Youtube videos sat waiting to pounce and have a negative effect on our gaming experience. There are murmurings that the UK releases may be shifting to fall into line with the rest of world, and despite losing that awesome feeling that you’ve bought a new game on Friday knowing you’ve got all weekend to cane it, I’m completely behind that idea just to avoid risk of spoilers. If you haven’t played it, go into it knowing nothing. That said, with gaming suddenly being more newsworthy in the mainstream media (still mainly in a negative light), even the BBC is becoming capable of detailing spoilers. This very week saw the release of Call of Duty: Modern Warfare 2 which the BBC featured heavily on the Tuesday morning breakfast show, contributing to the pathetic moral outcry when it came to a particular mission. Infinity Ward had kept this mission under wraps for impact reasons, similar to powerful moments in COD4, but on the morning of release it was that level alone that the BBC were talking about. Admittedly we featured this spoiler on our Eurogamer Expo podcast, though we made it clear beforehand what we were about to reveal. Although I have no intention to play Modern Warfare 2 right away, it still gets on my nerves that the Beeb were blatantly telling all and sundry about what should be an unexpectedly profound moment to make you think. Instead it only served to take the level out of context and surround it with a media circus. It’s almost like wherever you look, you will run the risk of ruining what should be a personal experience, and I think gaming and movies in general have suffered because of it. In terms of the time frame after release that it’s acceptable to openly discuss spoilers, this is another argument entirely, but the problem is that once you learn things in this manner, you can’t unlearn them. Try as you might you just can’t wipe them from your memory, and you’ll never have the same view of a given game again. With this in mind you can understand why developers work so hard to keep these things under wraps; they want people to experience certain situations as intended. For me, being wowed at these moments can be the difference between remembering a game fondly or not. So while (understandably) people excited for a certain product get frustrated when companies withhold information until late in the day, they should at least be able to appreciate the reasons why they do. Remember folks; a spoiler-free gaming session is a happier gaming session. For me.